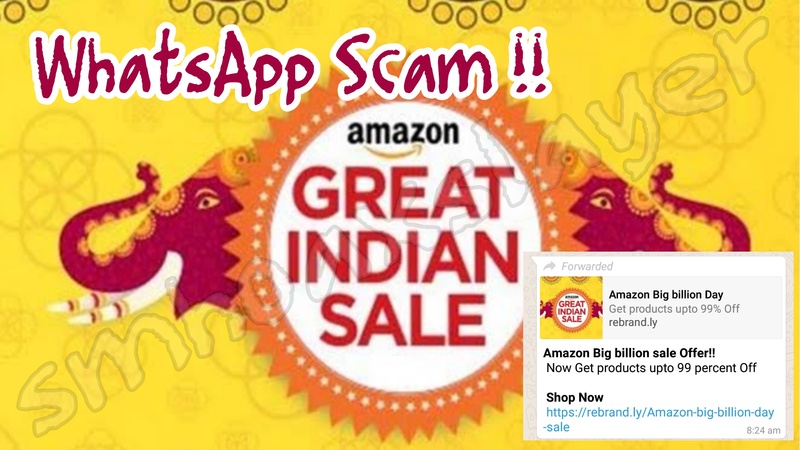 New WhatsApp scam, this time in the name of Amazon online mall. This time a message on WhatsApp tempts you to buy costly electronic items at 99% off. Such website owners earns from the web traffic, i.e how many people opened this website. you can see the advertising banners on top and bottom. That is how they earn. WhatsApp Scam in the name of #Indigo Airlines. A WhatsApp Scam back again, misusing photo of our PM as usual. Don’t panic, this yet another usual WhatsApp scam won’t steal your fingerprint. Yet another WhatsApp scam using PM’s photo. Another WhatsApp Scam. You don’t get a phone but..
Another @WhatsApp Scam. This time in the name of @Flipkart ! It’s a TeleMarketing Scam. You can’t extend JIO offer with this. Tampered EVM photo is old. A law to ban ugly children in public ? Poll for reservation is fake, only to earn through ads, not official.